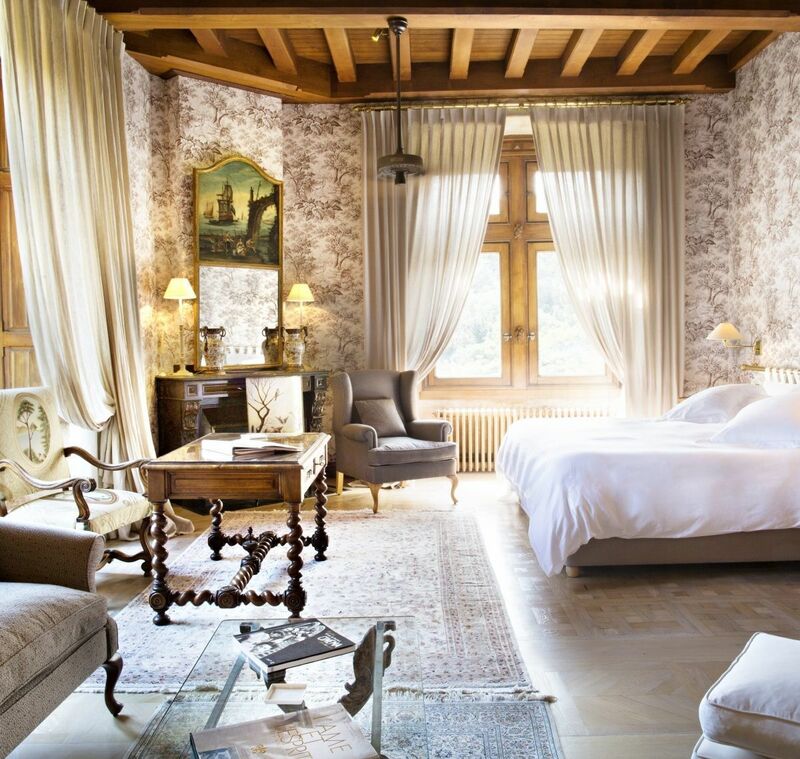 Château de Riell boasts 17 bedrooms, which stand out for their character and refinement. 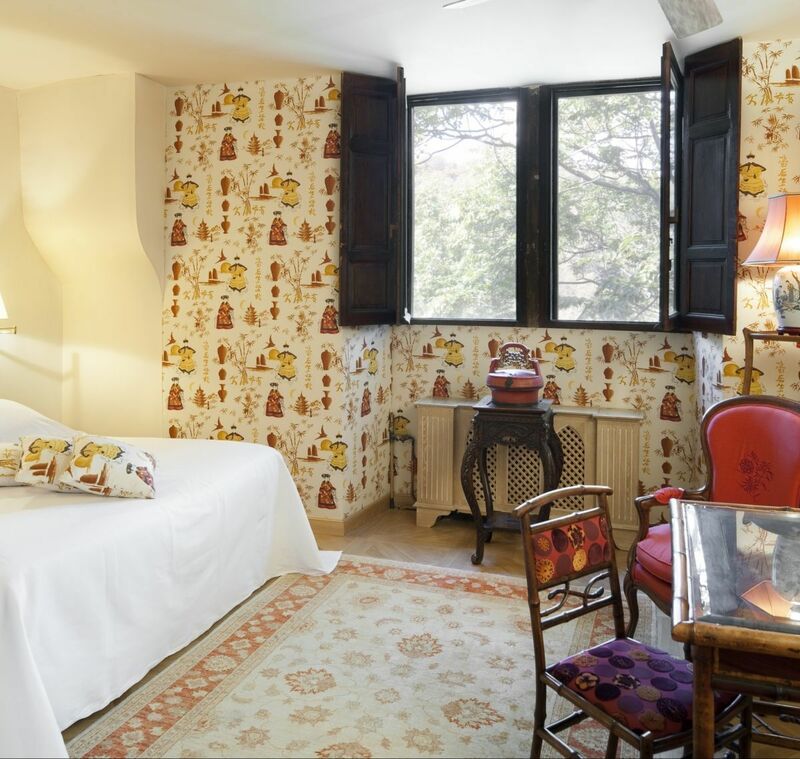 Each bedroom is unique, down to the last detail and decorated with subtle and joyful Pierre Frey fabrics. The addition of custom furnishings, oak wooden floor, linen and brass provides an exquisitely relaxing environment. 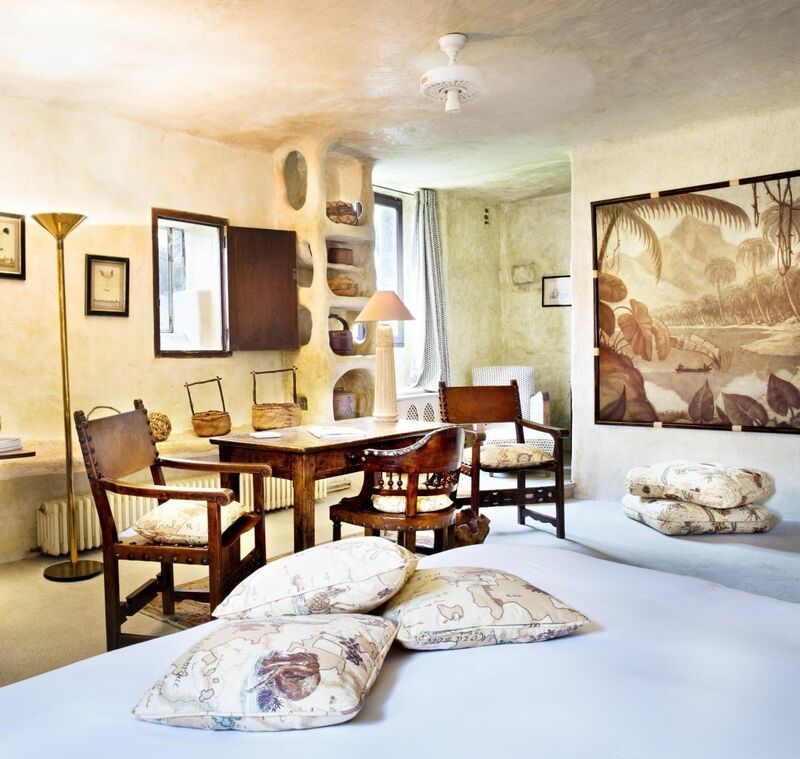 Everything is perfectly matched from the interior décor to the painted or French, colonial and english furniture. 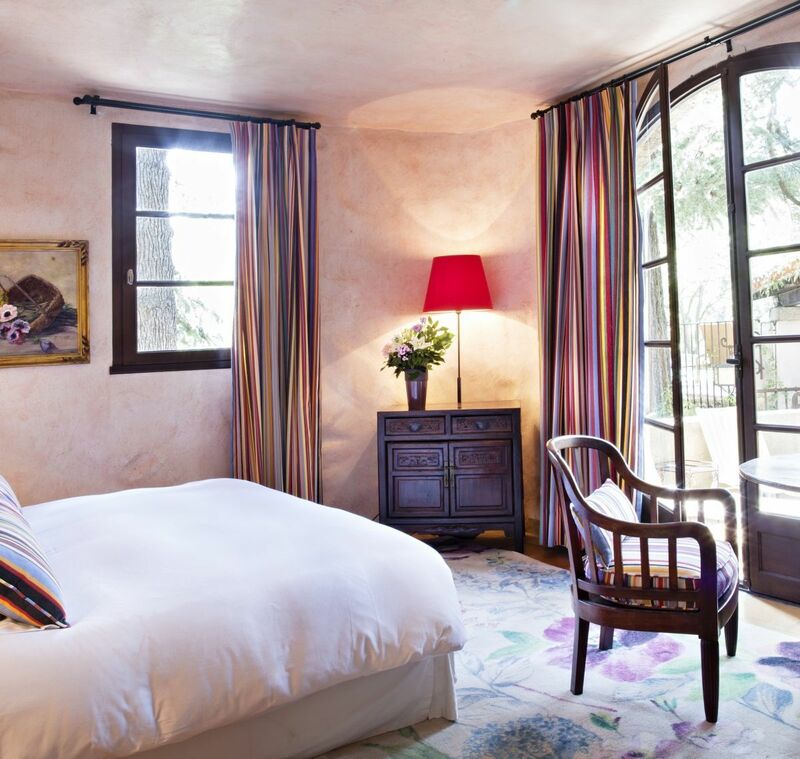 Opening out onto the patio, the forest or the Pyrénées, and with the mountain providing a marvellous backdrop, each bedroom offers a cosy and relaxing atmosphere with either patina plaster walls, or wood panelling.